An eclipse workspace can contain any number of projects. A project can be either in the open state or closed state. 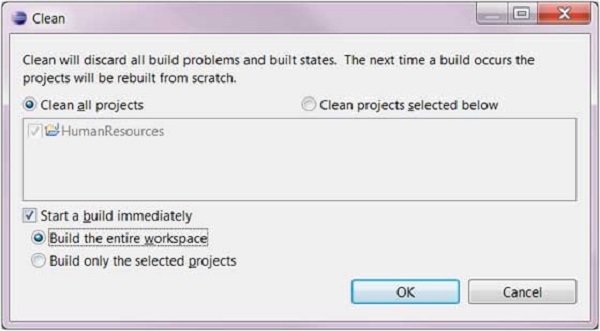 Take up build time especially when the Clean All Projects (Project → Clean all projects) with the Start a build immediately option is used. If a project is not under active development it can be closed. To close a project, from the Project select the Close Project menu item. 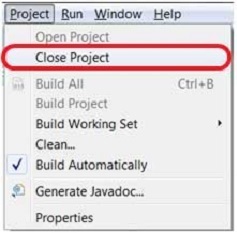 A closed project is visible in the Package Explorer view but its contents cannot be edited using the Eclipse user interface. Also, an open project cannot have dependency on a closed project. 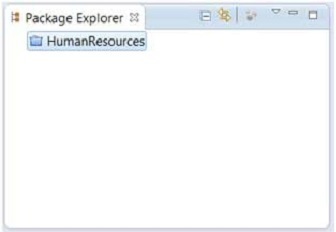 The Package Explorer view uses a different icon to represent a closed project.